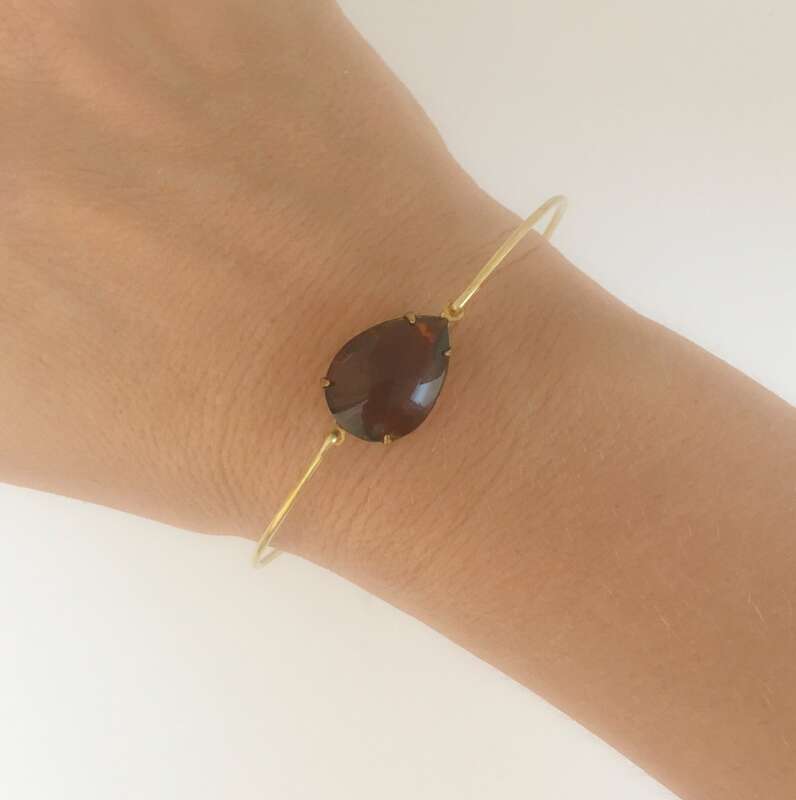 Brown Bracelet - Brown Jewelry - A brown smooth glass drop has been transformed into a delicate brown bangle bracelet with your choice of gold tone brass or silver filled bangle band. 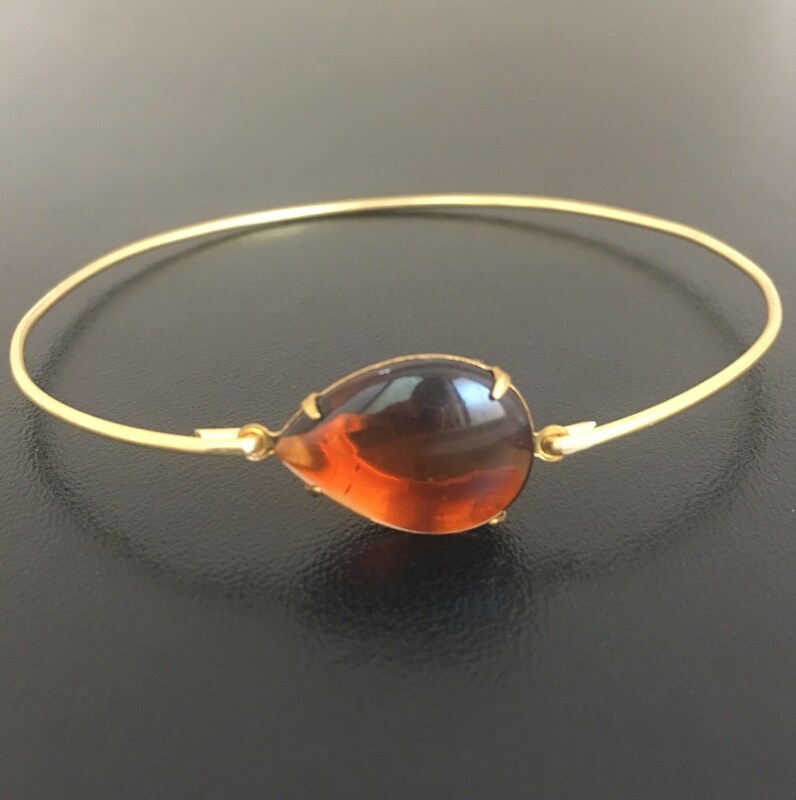 I can also make this brown bangle with your choice of 14k gold filled or sterling silver band for an additional $10. 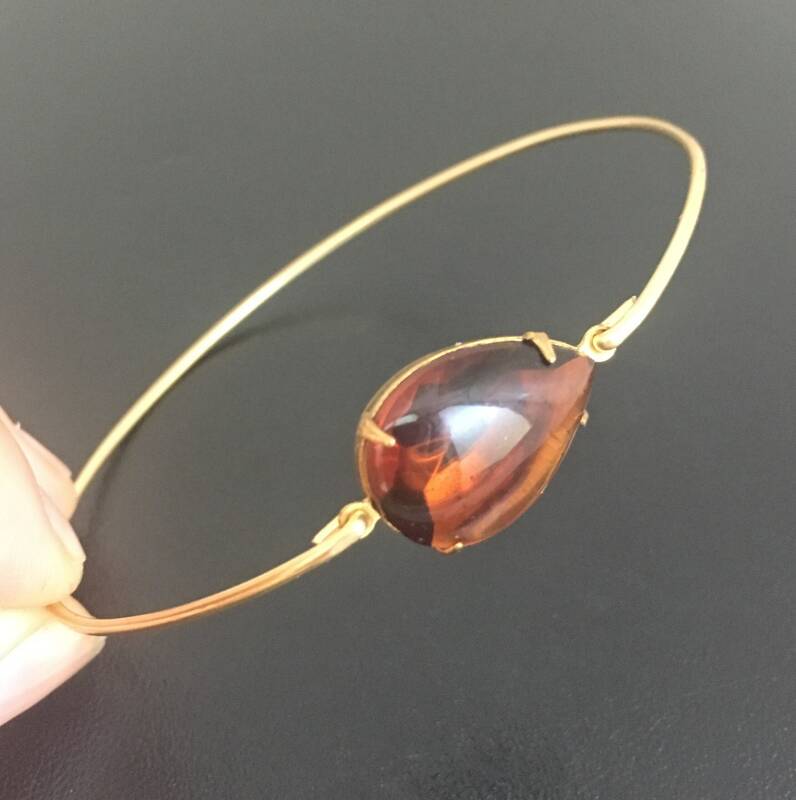 If you would like either of these options for your brown bracelet bangle, select from options when ordering your brown jewelry. Custom: specify a custom size for your brown jewelry. 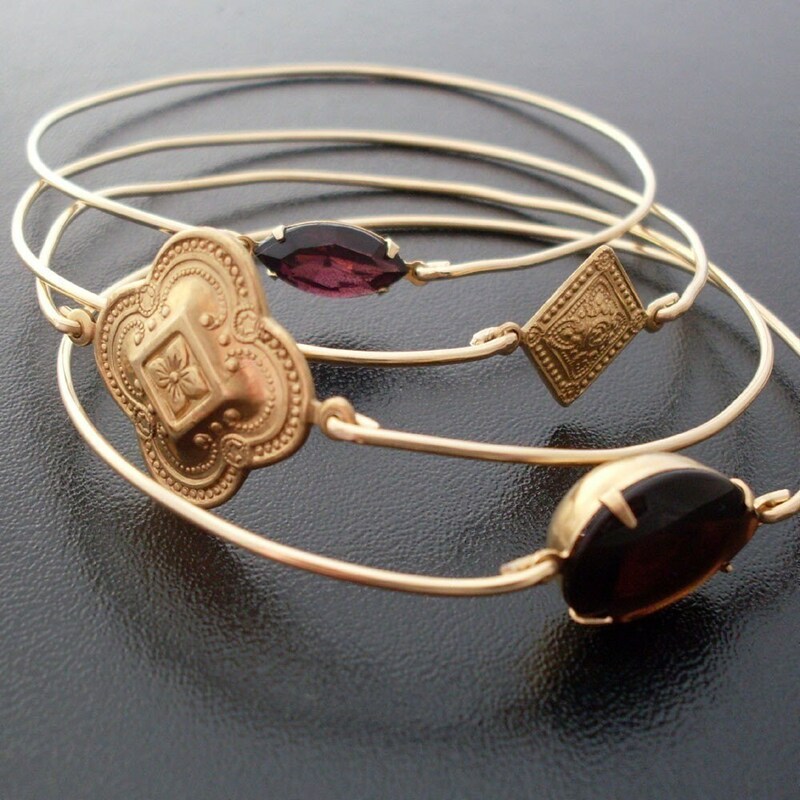 This brown bracelet created and hand crafted with great care and love for you and yours. All of my items including this brown bangle are special handmade creations that are original Frosted Willow designs.